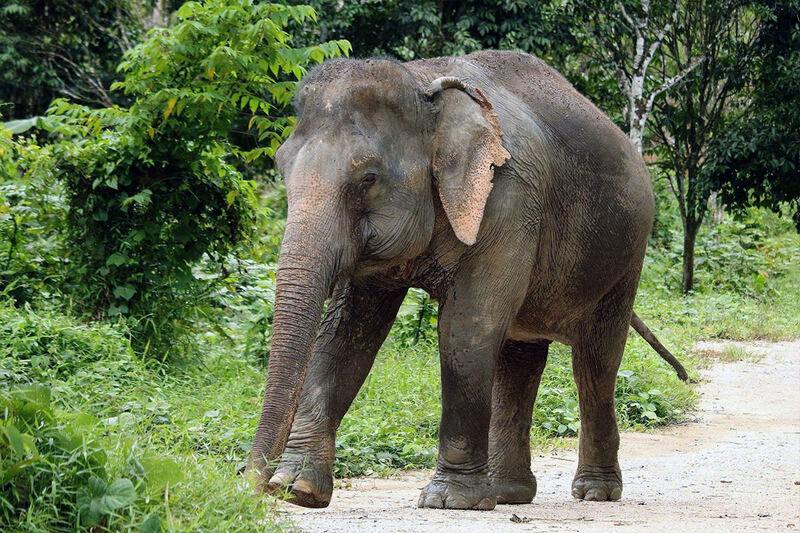 Aside from the moon in Thai, Jan Jao is also the name of our lovely 40-year old elephant at the sanctuary. 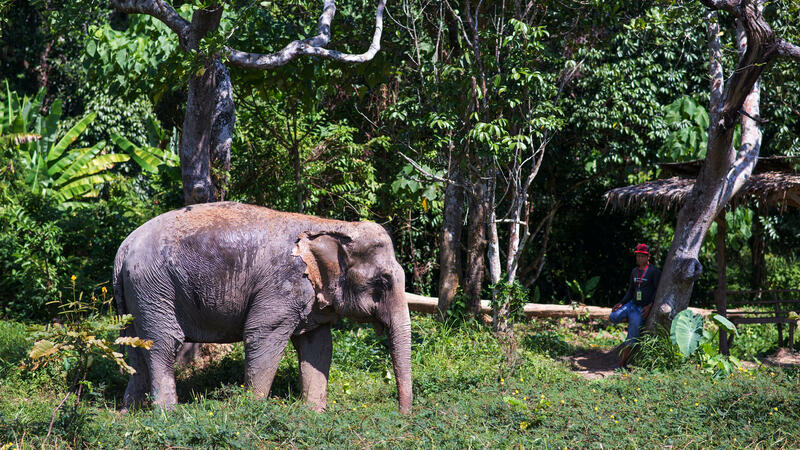 Jan Jao suffered from similar conditions as the other elephants before joining us, spending most of her life working hard in the tourism industry. 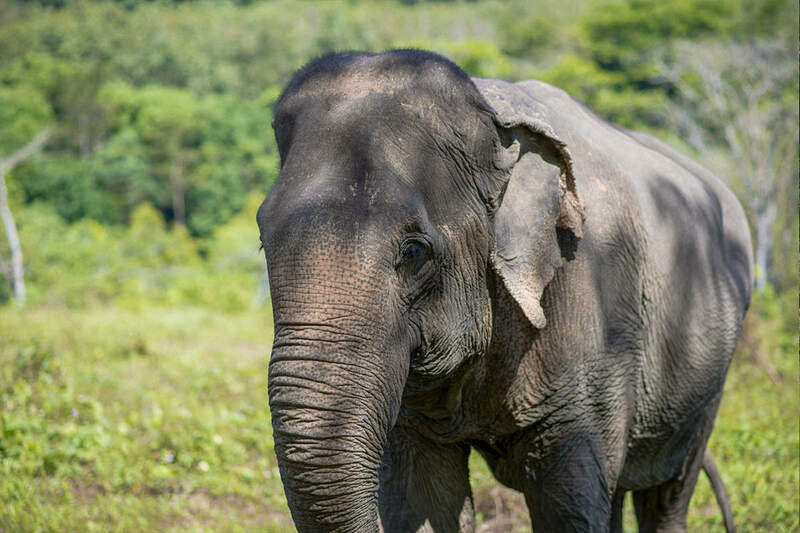 As a result of being controlled and abused to work so hard, Jan Jao has wounds behind her ears and on her forehead. 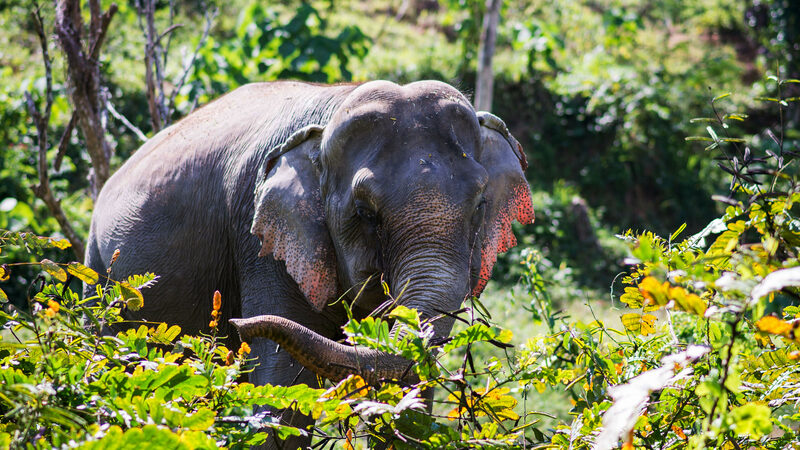 Jan Jao moved in on August 30, 2017. 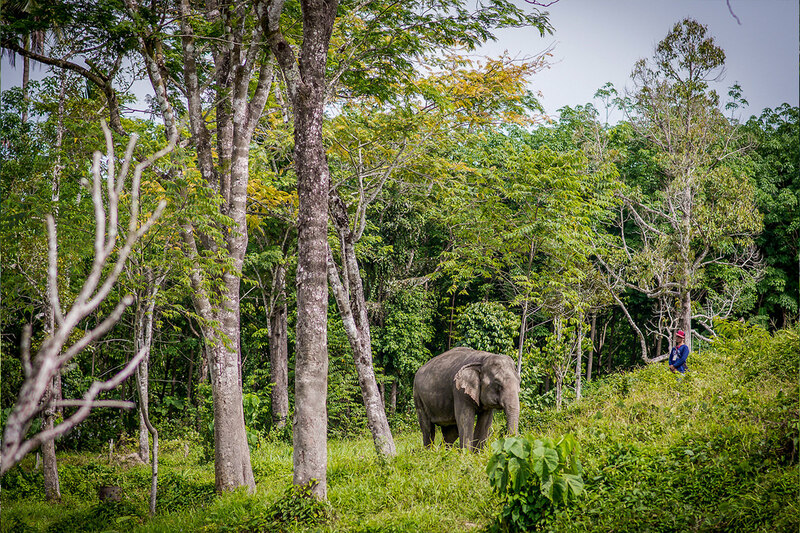 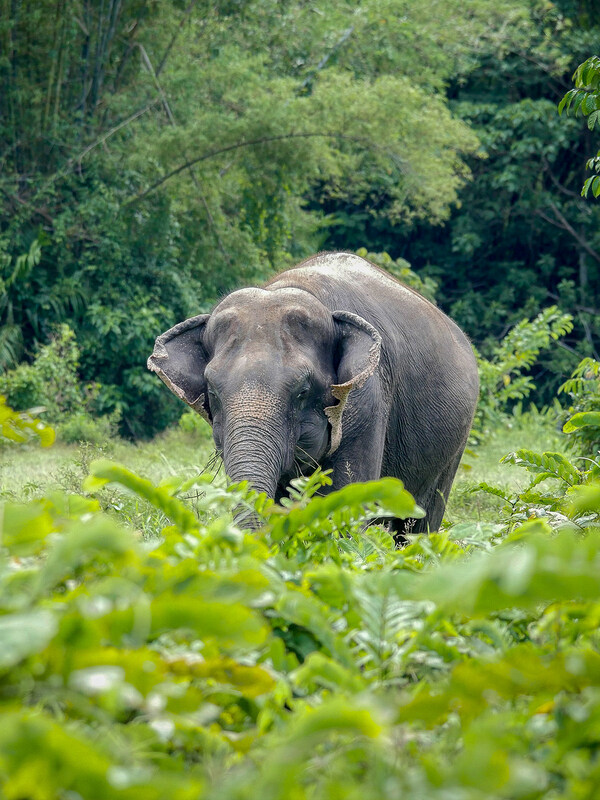 It took her a while to adjust to the new environment, however with the support and care of her mahout she learned to enjoy the natural forests, wide areas to roam around and the refreshing ponds at the sanctuary. 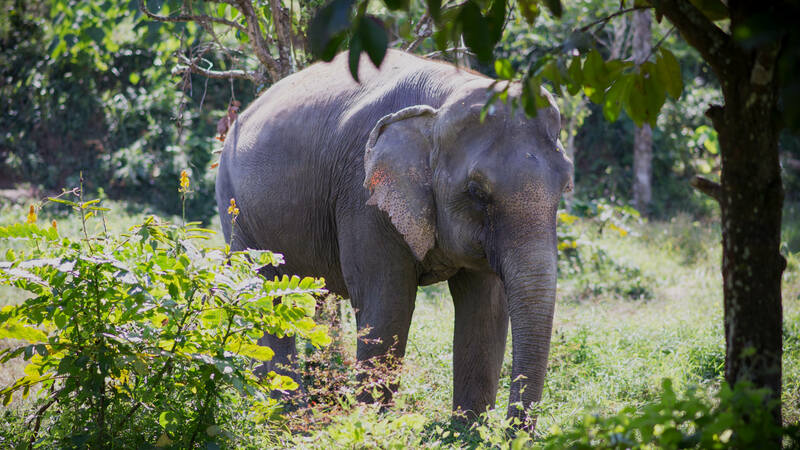 She now enjoys living freely without orders and loves to play with the other elephants, splash in the water and to cover herself in thick mud. 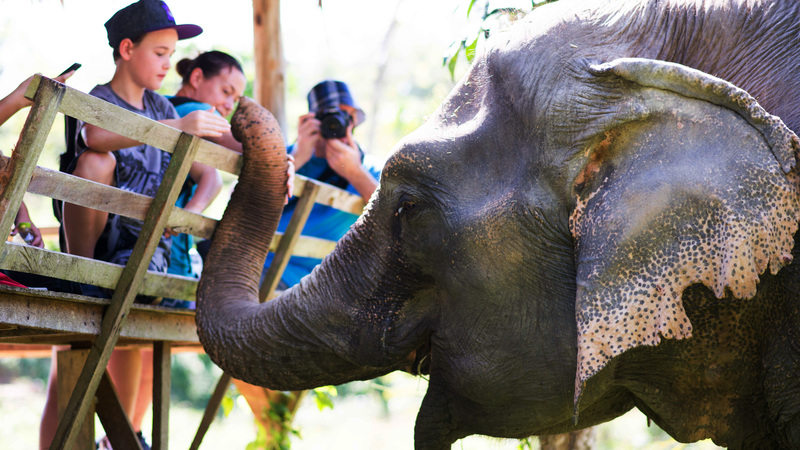 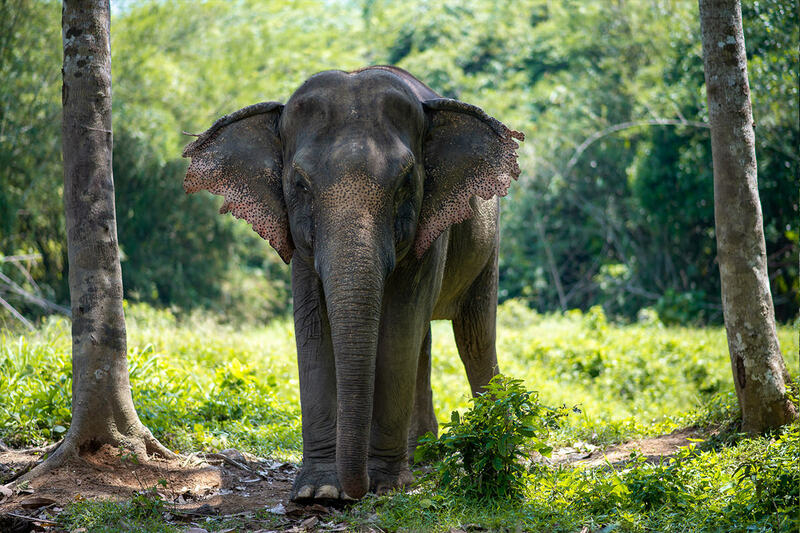 At Phuket Elephant Sanctuary she found a life like she had never experienced before. 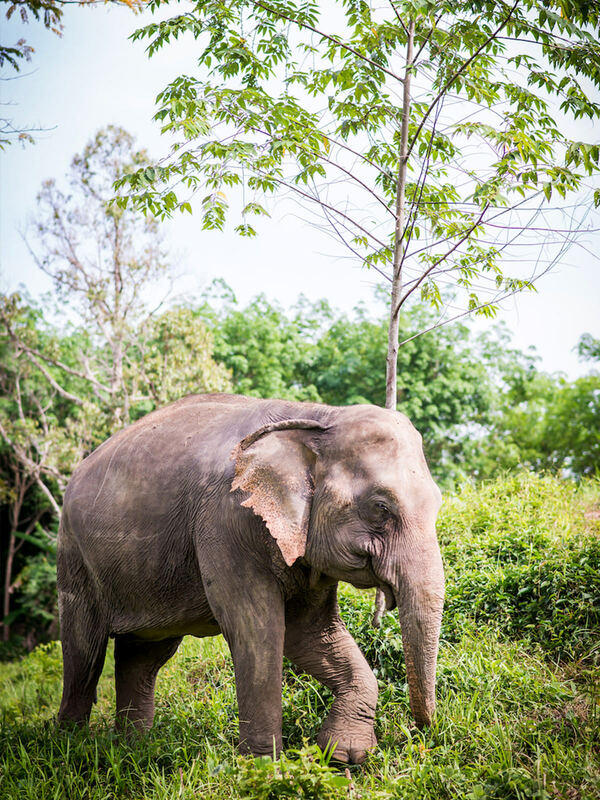 We can feel her joy when we see her eyes shining bright like the moon, and we hope she will continue to love this new home of hers forever.